If you are interested in any of our program's clinical services, please complete the online form. Our staff will contact the parent/guardian to finish the intake process or collect more information. 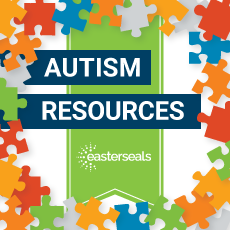 The Autism Program of Easterseals provides evidence-based screening, diagnostics, training, information and resources for autism spectrum disorder. 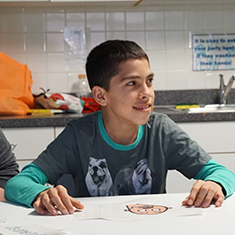 The outreach program is for individuals living with an autism spectrum disorder and the families, caregivers and professionals who support them. Services are available based upon funding. Screening is available for people ages 3 and older who have never received an autism spectrum disorder diagnosis by a professional. We are unable to do re-evaluation or second opinions at this time. 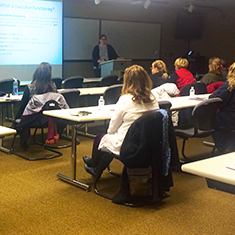 The Autism Program offers training for families, caregivers and professionals who support individuals living with an autism spectrum disorder. Training is scheduled based upon your individual needs or those of the community. Family and child can have an individualized session where needs are assessed by a Master’s prepared clinician. Therapy sessions are determined based upon the family’s input and their needs. Please contact us to discuss availability. The Autism Program is a vital resource to our local communities. Sometimes you may have a specific need or question and could benefit from a one-on-one consultation with an experienced professional. 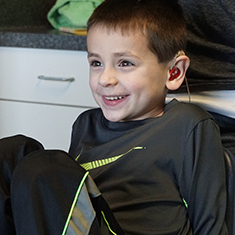 Easterseals provides individualized information, resources and suggestions. 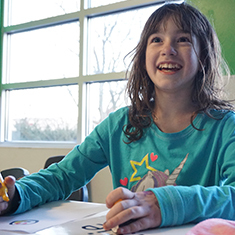 The Autism Program is available to assist you in finding resources most helpful to you and provides assistance in developing visual tools designed to meet individual learning styles. 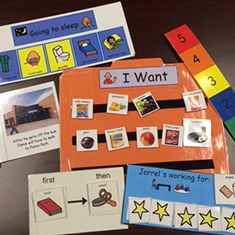 Resources in our lending library range from informational brochures, books, learning aides, videos, tip sheets and interactive games and toys. Contact us to schedule your appointment. Funding provided in whole or in part by The Autism Program of Illinois and the Illinois Department of Human Services.